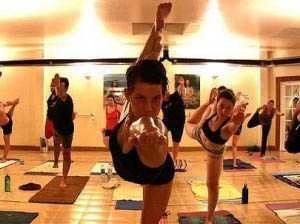 People all over the world are looking for ways to build on their love of hot yoga and are seeking out yoga teacher training locations. 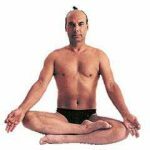 Bikram Choudhury refers to his yoga style as a trip to a torture chamber. Since you are practicing this style of yoga teaching in a room temperature of 105 and 40 percent humidity it can feel that way. This method includes a sequence of 26 postures that stem from Hatha Yoga but have been developed into Bikram Yoga. Some people enjoy this style so much that they are becoming instructors themselves. At this point you have been practicing Bikram Yoga for a long time and have already had the benefits of experiencing the healing effects it brought you. You are less stressed out and less tense with things around you and sudden changes in life are easier to handle. Basically you have found a new direction and new beginning by adding routine practice of Bikram Yoga into your life. Becoming a yoga instructor is a strong career path especially today when people are trying to put a stronger focus on mental and physical wellness. Why not take the jump and go through yoga teacher training so that you can help bring mental wellness and joy to those around you. Find this point in your life you feel like you have taken a yoga vacation and walked away with the rewards. Are you at a point in your life where you want to share this experience and want to help others that are drowning in day to day stresses and problems? It is time you want to stop and reach out to your community and friends and share the release that bringing Bikram Yoga into your life can do for them. 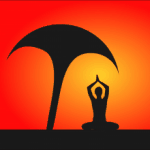 If you have been practicing yoga for a solid amount of time you are positively aware that the common goal for Bikram Yoga is to connect mind, body and soul through concentration but there are very strict guidelines that you must follow to practice this style safely. Due to this fact it is a rule that an interested person looking for a yoga teacher training must be a routine yoga lover of this style before you are even allowed to apply for instruction. Not only must you love yoga and have a routine practice, an applicant for yoga teacher training must receive a letter of recommendation from the owner of the Bikram studio you belong to. This approval is very important because if you make it through the training and get your yoga certification you will be responsible for all the lives that walk into your session. The directors in charge of your training want to be assured that you are dedicated and have the character of becoming a yoga teacher before they put their final approval behind you. There is an age requirement for all those interested in becoming yoga instructors. The age requirement is 21 years old to start yoga teacher training. Most feel that at this age a certain maturity has been reached and you can become an effective teacher. After you become certified as a yoga instructor you will be instructing students that are all ages. When you are in charge of helping them reach a healthier living and finding that through the regular practice of yoga it is an enormous responsibility. Once you have met all these requirements you can move forward and apply for admission into a yoga teacher training program. If you are concerned with the cost of the yoga training program some scholarships are available you just have to look for them at the school you are applying to. The application along with the scholarships tends to be time sensitive because of the limited number available. The time it takes to become a Bikram Yoga instructor can vary depending on when your program begins and how long it takes before you are able to move through the requirements. Do you have a big dream of owning your own yoga studio and providing for others the opportunity to reach personal wellness? By going through yoga teacher training you are one step closer to fulfilling that dream. You will be able to bring health awareness programs to the people in your community.